I love Mirassou Winery. Today’s post is sponsored by them. As always all opinions are my own and do not reflect the company! The holidays are here. My calendar is bursting at the seams with dinner parties, gift exchanges, luncheons, and family celebrations. Today, I’m sharing 5 tips for hosting a holiday party. Whether it be for Christmas, Hanukah, or New Years Eve–I’ll help you combat your fears and wow your guest. 1. Make a menu plan! Planning ahead is key. I love to write a list of what I’m going to serve. Then I break down the list to figure out what needs to be prepared ahead of time. I’m a planner and like to plan out everything to the minute. 2. Serve delicious wine! 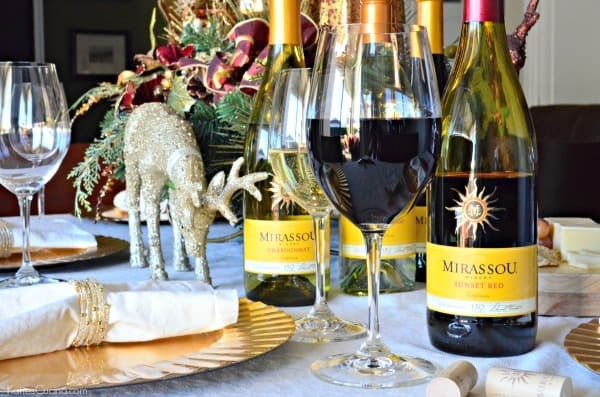 Mirassou wines are the go-to choice this holiday. 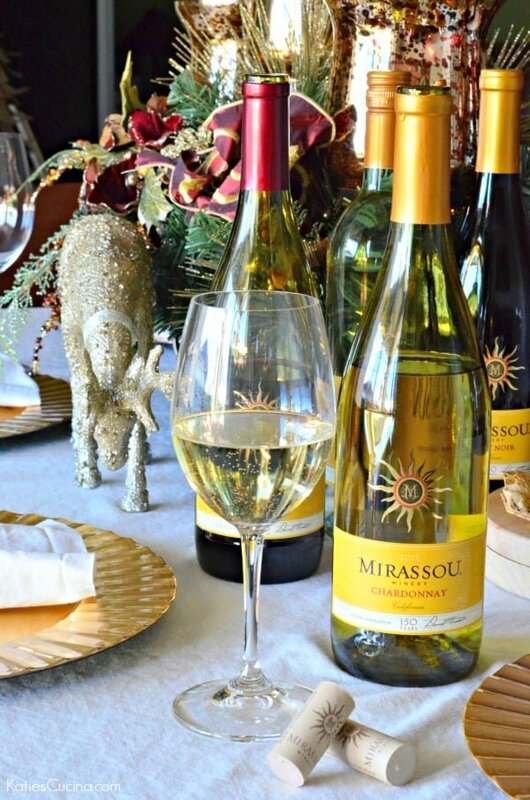 In my home, Mirassou is the go-to wine for easy holiday entertaining! I love their family of premium wines. They display bright, fruit-forward flavors and pair well with so many dishes. Mirassou is America’s oldest winemaking family. The family has been crafting wines in California for over 160 years (6 generations to be exact)! 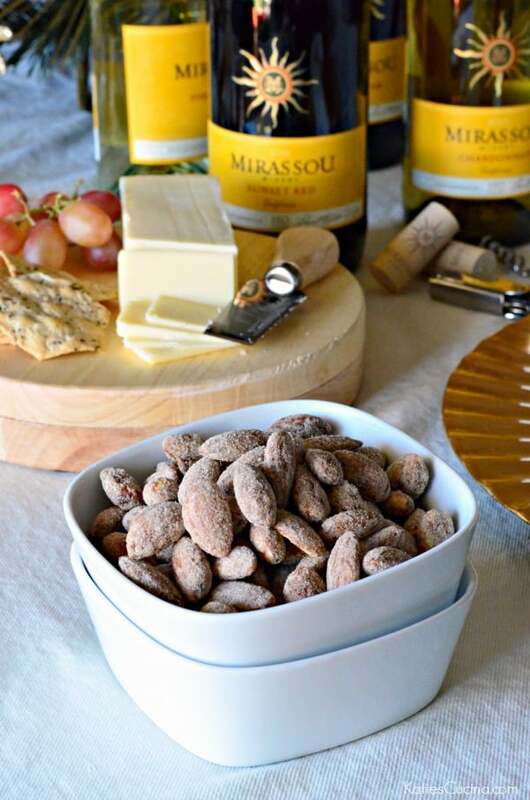 Mirassou Winery produces nine premium California wines: Sauvignon Blanc, Pinot Grigio, Chardonnay, Riesling, Moscato, Pinot Noir, Merlot, Cabernet Sauvignon,, and the new Sunset Red. All of the bottles are available for about $12 a bottle! Making it very affordable to have at any party! 3. Give your guest wine charms. Your guest can use them during the party and then take them home as a party favor. Whether you buy an inexpensive pack of wine charms or have your guest DIY and make their own charms. It’s up to you! 4. Serve food! The last thing you want to do is serve wine and no food. At the very least I like to have cheese, crackers, nuts, and fruit on hand. These are 4 staple items I like to have on hand at all times during the holidays (and really year-round). You never know when a neighbor will stop by and all of a sudden you are in need of a quick snack! Cheese and crackers are a must! I’ve also found that a cheese and cracker spread is always a hit at any party. You can cut the cheese ahead of time, arrange the platter and pull it out of the refrigerator before your ready to serve. I also like to make a few dips ahead of time like my feta avocado dip, a creamy hot spinach dip (make ahead and bake just before the party), and leek and cheddar dip are a few go-to easy appetizers I like to make! You can also ask your guest to bring a dish. That always helps lessen the load on the hostess! 5. Relax and enjoy the time with family and friends! It’s ok if everything doesn’t go exactly how you planned. Go with the flow and no matter what… Your party will be wonderful because your with the people you love! 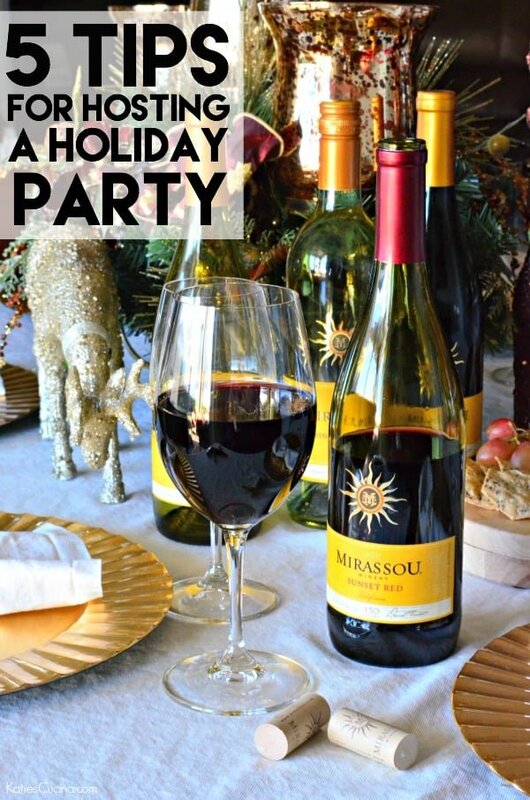 Now, go pour yourself a glass of Mirassou Wine, make your list for your party, and take a deep breath. everything will work out great! 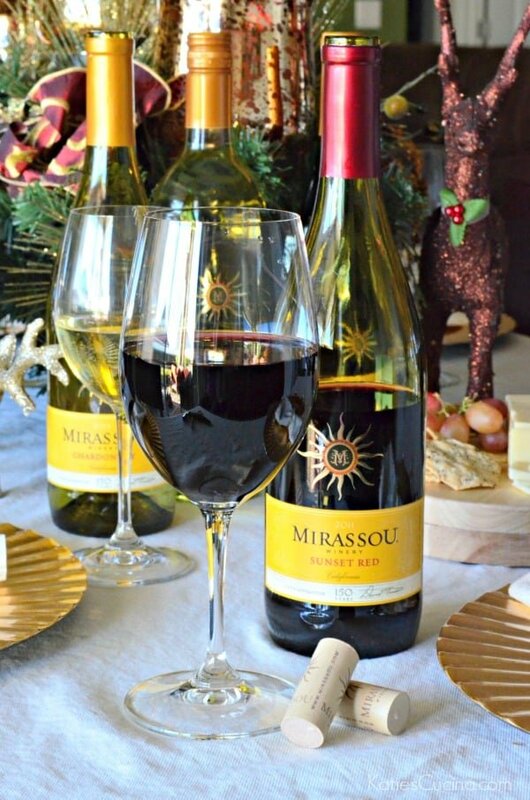 Remember whether it is for the holidays or just an everyday occasion Mirassou Wines can help elevate the everyday! I hope these tips will get you through the holiday parties you have planned! 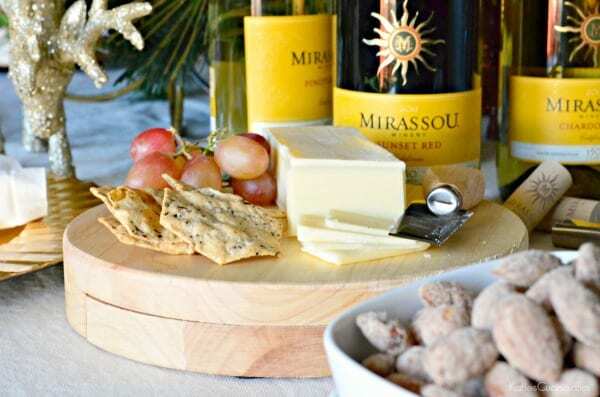 For additional entertaining tips, recipes and pairing ideas for the holiday season be sure to connect at Mirassou.com, Facebook, and Pinterest.com. 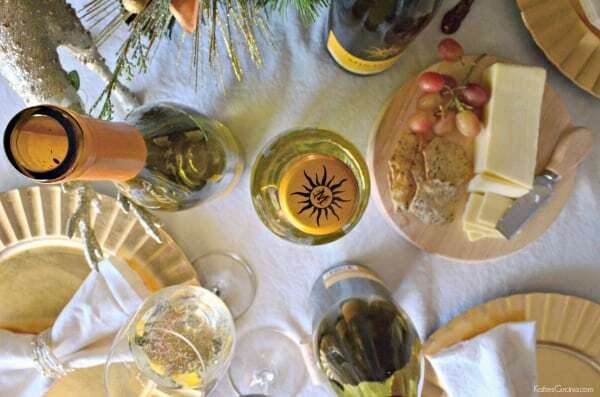 Now, run don’t walk… Mirassou Winery is offering a $3.00 off coupon to help make your holiday gatherings shine! Get the coupon here! Disclaimer: This is a sponsored post written by me on behalf of Mirassou. Great tips and that is one of our favorite wines! Great tips, Katie! I need to stock up cheese, crackers and nuts to have on hand! Printed my coupon and can’t wait to try this wine! Love you tasty tips for enjoying the holidays Katie! I need to go restock our wine cooler. Thanks for the reminder to grab some Mirassou! I love Mirassou wine! Great tips, thanks for sharing! Thanks for sharing these great tips, Katie! The wine looks delicious! I also really love that little gold reindeer! Thanks Rachel! Love me some good wine! Got the reindeer from Home Depot a few years back! A staple to decorate with each year!